Tickets are $28, $46 and $56 depending on seat location. Discounts are available for members, seniors 65+ and groups of ten or more. Students and kids are 50% off! Please contact the box office at 877.571.SHOW (7469) for more information. 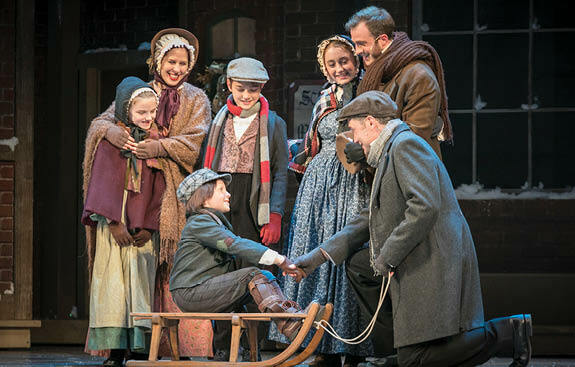 Celebrate the holiday season with New Englands largest production of Charles Dickens' A Christmas Carol, adapted by The Hanover Theatres president and CEO Troy Siebels and featuring the Mighty Wurlitzer Organ, New Englands largest theatre pipe organ. You know the story and you love the message of redemption, but youll never see another Christmas Carol like this! The show is refined and revised each year to feature more magic than ever before, with an array of spectacles from smoke and fog to spectacular flying stunts. Jeremy Lawrence has guest starred on TVs The Blacklist and Shades of Blue and has worked with directors Brian De Palma, Rob Howard and Stephen Daldry. He is also known for his portrayal of playwright Tennessee Williams.